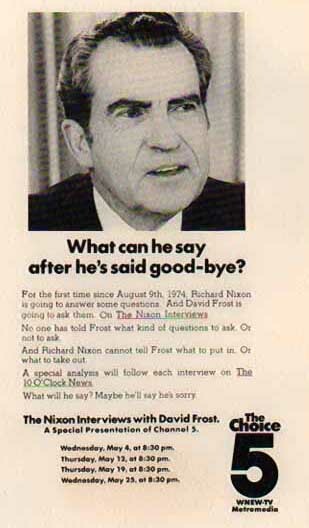 In his first interview session with former President Richard Nixon about Watergate (see April 13-15, 1977), David Frost asks about what then-chief of staff H. R. Haldeman knew on June 20, 1972 (see June 20, 1972), when he and Nixon discussed Watergate in the conversation that would later be erased from Nixon’s secret recordings (see November 21, 1973). 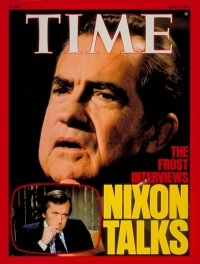 Avoiding Questions - Nixon tries to accuse Frost of putting words in his mouth; Frost refuses to be baited. 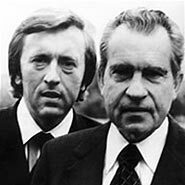 Nixon then uses diversion, addressing not the June 20 conversation, but instead spinning out a discourse focusing on his lack of advance knowledge of the break-in and accusing the media of pinning unwarranted blame on him. 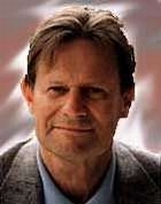 Frost lets him speak, then focuses again on the conversation: “So we come back to, what did Haldeman tell you during the eighteen-and-a-half minute gap?” Nixon dodges the known material in that conversation—the suggested “public relations offensive” to evade criticism and investigation of the burglary, and instead says that he and Haldeman were worried that the Democrats had bugged the Executive Office Building.